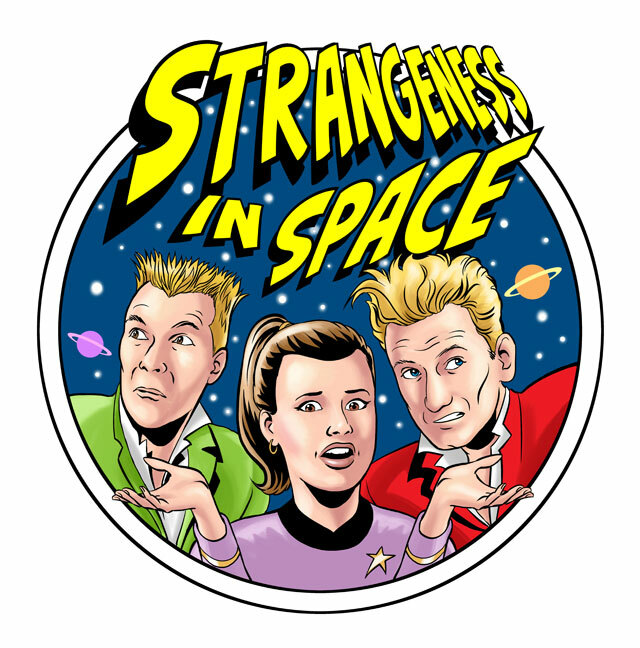 A brand-new comedy audio series, Strangeness in Space, launches this week with the opening twenty-five minute episode entitled Featherheads. What’s more, the first episode is free to download and enjoy from iTunes or the Strangeness in Space website! To give you some idea of what you can expect, the series is written by Trev and Simon (Trevor Neal and Simon Hickson), stalwarts of crazy comedy sketches and Saturday morning television, the afterglow of which never leaves children of those generations. 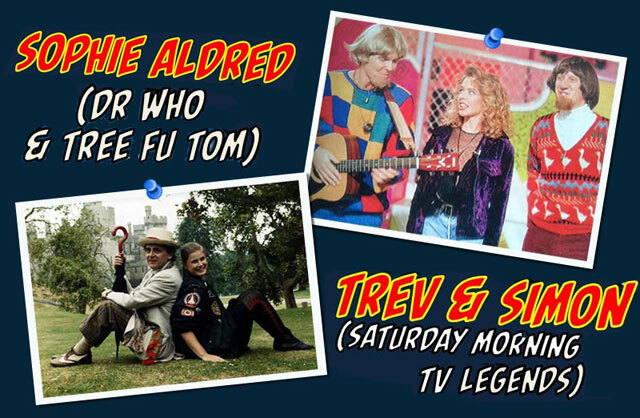 Trev and Simon star in the series themselves, playing their familiar hapless personas. They’re like the Chuckle Brothers, full of banter but with more than one joke. They are joined by Sophie Aldred, who suffers a fate worse than death by being trapped on a ship with Trev and Simon and tasked with finding a way of returning them all safely to earth in spite of the accident-prone antics of her shipmates. The genre is science-fiction with an emphasis on the last word. It doesn’t convey hard science but opts instead for fantasy and imagination. Thus square suns and birds with human feet make an appearance in the opening episode. Don’t expect a science lesson: anticipate instead a fun adventure with plenty of laughs and running jokes. Strangeness in Space has been funded by a kickstarter campaign and relies on fan donations to make the recordings possible. For the most generous contributors, they can get a shout-out during an episode; though this does tend to become a little intrusive. It follows an established trend though, and works much like the winks to the audience of product placement in a Bond movie. The least intrusive shout-outs are incorporated into a series of enjoyable spoof radio adverts for products nobody’s likely to want, read by Doon Mackichan as the silky-voiced narrator Bounty Flightingale who has a penchant for Thurrock. We took a listen to the opening episode and found so much to enjoy. The flippant tone of the piece is established from the off with a few lines from David Bowie and a theme tune based on Space Oddity. There are plenty of in-jokes that are very funny, such as a piece of scientific equipment that sounds like a microwave. Sophie explains it away with reference to a tight budget. 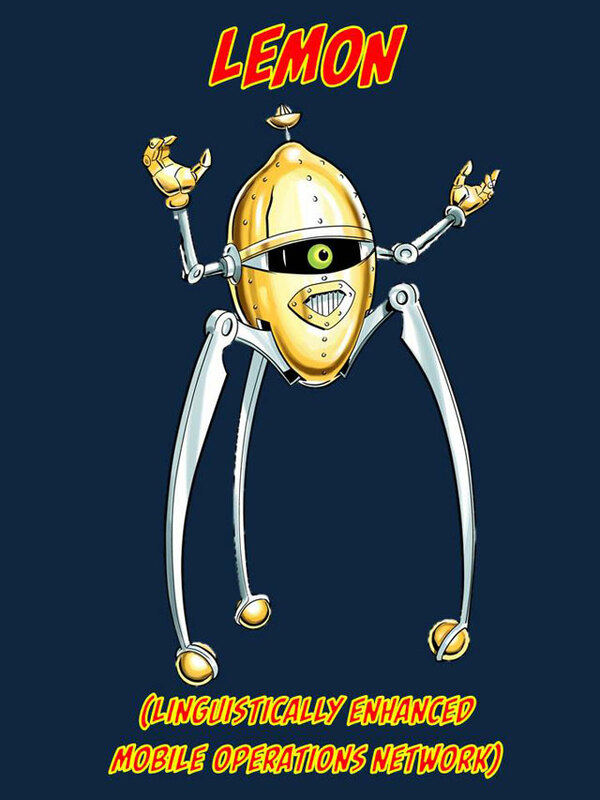 In reality though, Strangeness in Space sounds great! The sound effects are impressive, and rapidly establish a variety of places and scenarios – everything from the inside of a spaceship to alien planets and squarking birds. Check out more details about the series, climb aboard and download the first episode for free, and don’t forget to check out the shop and the perks by getting involved at strangenessinspace.com.